If you want great coverage foundation, but don’t want to be applying a whole lot of unknown nasties on your face, asap Pure Mineral Foundation is your answer. It’s lightweight but covers all skin imperfections and won’t streak, sweat or fade all day. Perfect for sensitive skin and even those with oily skin will enjoy as there is no shininess. With a great colour range, SPF15 and well designed packaging with an adjustable twist top that allows you complete control of the amount of product dispensed, your skin will be glowing. Say goodbye to flat or dull skin! This is a great foundation that you can really build up without using a huge amount of powder. It probably isn't 100% flawless coverage, but great as an everyday! I have tried so many different foundations and having oily skin they just come off after a couple of hours. But not this one! It last day and night with full coverage. Totally amazing! After using a variety of foundations, I thought I would try this product. 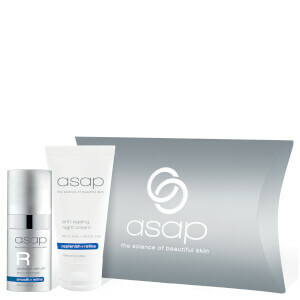 When applied I feel my skin can still 'breathe' and it lasts all day and night. My skin has a healthy glow and most importantly it covers evenly and is so easy to apply. A real asset to any make up bag!